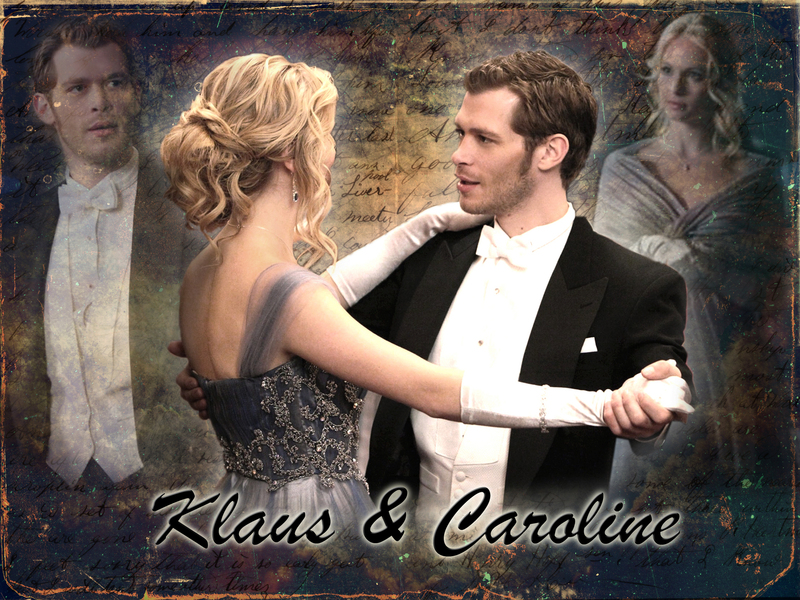 Klaroline. . HD Wallpaper and background images in the 吸血鬼日记-电视节目 club tagged: klaus caroline klaroline the vampire diaries. This 吸血鬼日记-电视节目 wallpaper contains 商务套装 and 西装. There might also be 伴娘, 荣誉女仆, 伴娘伴娘, 西装礼服, 礼服, 燕尾服, 尾巴, 白色领带, 白色领带和尾巴, 礼服套装, 全套连衣裙, 尾衣, 白领, 白领和尾巴, 穿着西装, 白色的领带, 系白色的领带和尾巴, 标志, 海报, 文字, 黑板, and 文本.